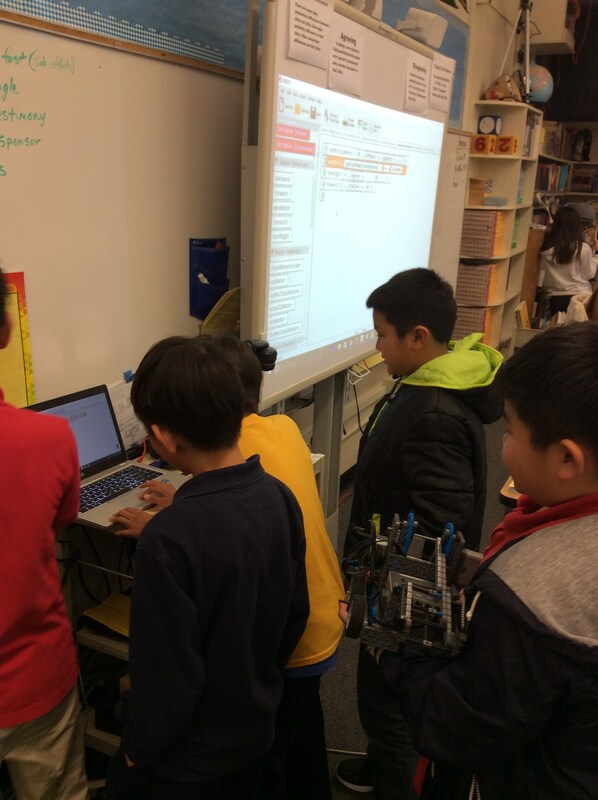 This trimester, a group of 18 fifth graders have been working with Mr. Cabrera to learn about robotics using Vex Robotics kits and RobotC. 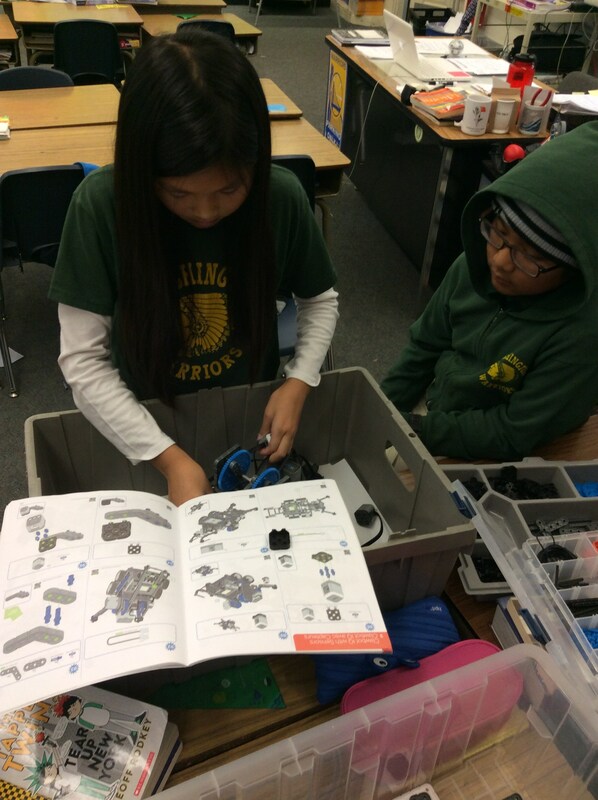 They learned about simple machines by building them out of the kits. 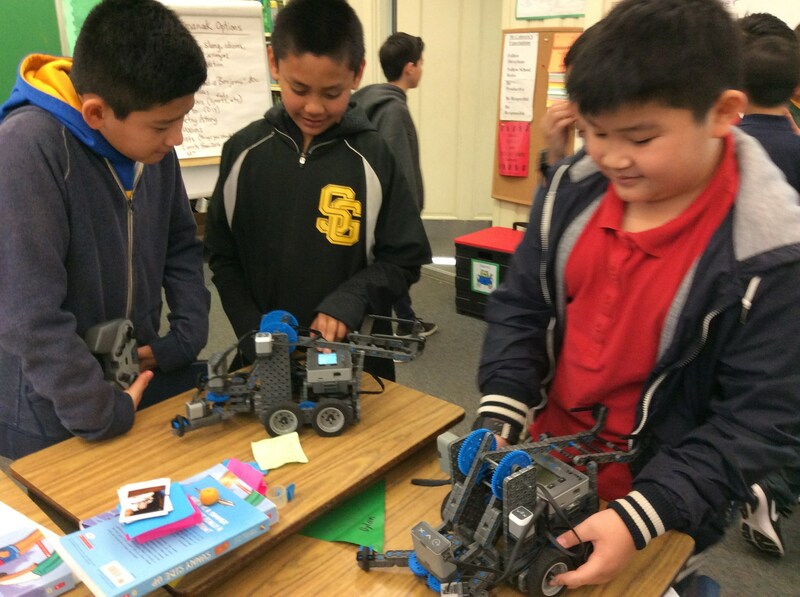 Then they constructed a programmable robot with motors and sensors. 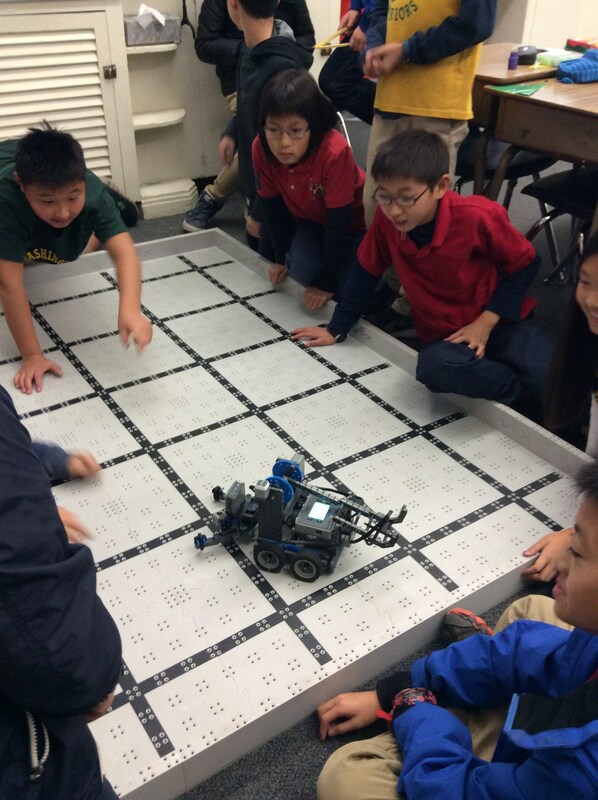 RobotC is the program they used to code the robots to perform tasks autonomously. 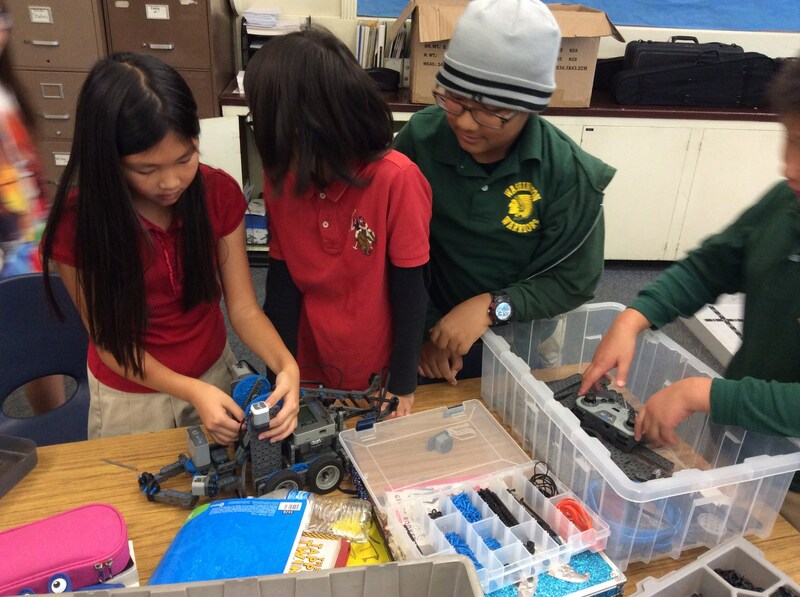 Problem solving, critical thinking, team work, and persistence are the real lessons learned! 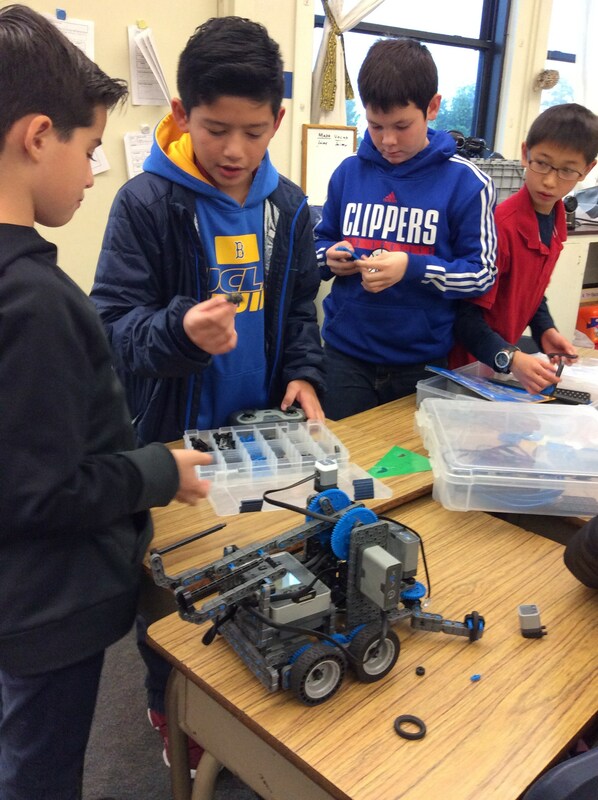 A challenge will be presented to them to solve a "real" problem "in outer-space" using their robots and the RobotC program before the program ends.